As you know, Abita has been one of my favorite American craft microbrews since Firecracker introduced me to Purple Haze back when we met. Nowadays my faves are their staple Amber, their oddly named buy tasty brown ale called Turbodog, and Jockamo IPA when I can get it. 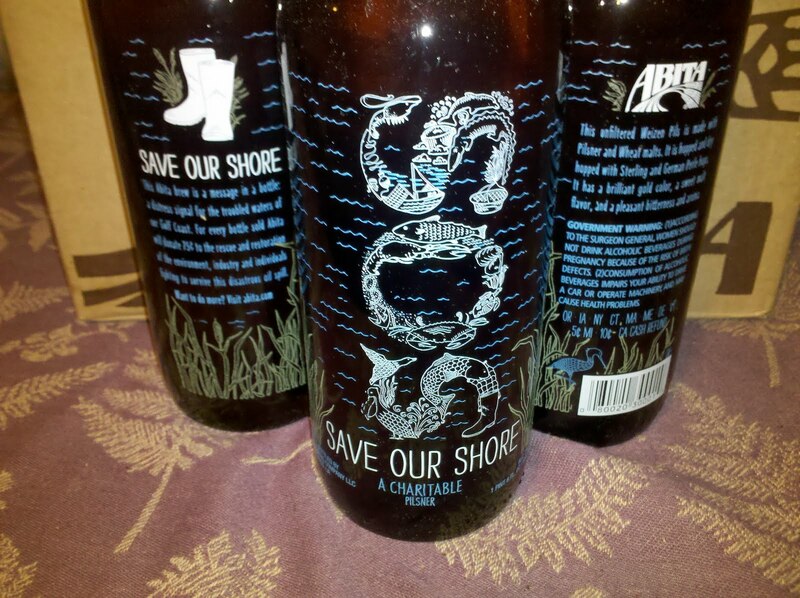 Based in Covington Louisiana near the shore of Lake Pontchartrain, they brew a large stable of varietals and their newest, Save Our Shores Charitable Pilsner, gives 75 cents a bottle to Gulf spill restoration. They’re no stranger to charity beers, and their Abita Restoration Ale is still available, with the charity going to Katrina relief. I visited their brewery last year, and you can read all about it here. We ordered a case of the S.O.S. Pilsner thinking they were standard six packs, but they turn out to be 1 Pint 6 ounce large bottles with a pretty logo screen printed on the bottle itself. It is a hoppy pilsner with a lot of body, completely unlike American rice beer pilsners you may be used to. It blows Prima Pils and Pilsner Urquell out of the water. It has a full mouth feel yet doesn’t fill you up like a brown ale. I highly recommend it, even if they weren’t donating profits to Gulf spill relief. 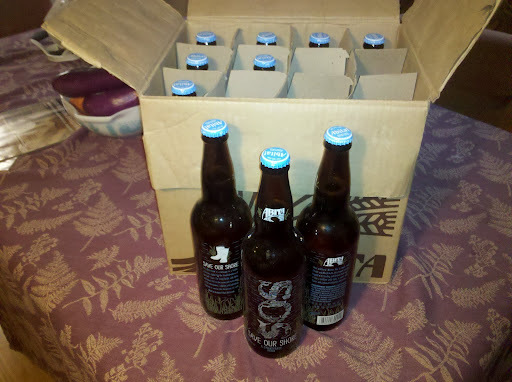 We ordered ours at a local Bottle King, but Abita is carried nationwide by Whole Foods, and their website lists distributors around the country. It is worth ordering if your liquor store does not carry it, and will be a fine brew to have on Labor Day. While we relax and grill, try to remember all the fishermen whose livelihoods were destroyed by BP’s negligence, now forced to work clean up for a pittance of what they made serving us local, fresh shellfish and seafood.